A naturist’s view on pockets. Pockets. What about them when you have none? Pockets. We all know them and put things in them. A big question for non-naturists and new naturists is: where do I put my things? After all, a proper, modern human being isn’t complete without keys, a phone, paperwork, a wallet and what not. There are no pockets in your skin. Absolutely true, and that’s how I like it best. 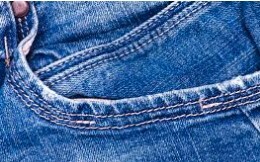 If you’re a genetically or surgically modified human who now has pockets, do step forward and tell us about your experiences. Having no pockets has made me clever about taking things with me. First necessity: a bag. Consider that one big pocket and you’re already set. Second necessity: don’t take the kitchen sink with you. Be clever about what you really need. Are you on vacation and you’re not going to drive, leave car keys and paperwork in your tent, bungalow, hotel room, wherever you stay. It makes for lighter walking. Walking in warm weather? Take something to drink with you. Don’t be stupid and risk dehydration. Do you need your wallet if you’re not going to stop anywhere? Leave it ‘at home’. Same if there’s nowhere to pay for anything; why take the thing with you? This is where we get closer to nature-ism, which isn’t for everyone. Nature didn’t invent keys, wallets, phones and all that. If you can do without those, even for a few hours when out and about, do not take those things with you. Learn to live without facebook, twitter, snapchat and whatever more or less social medium you frequent for a while. 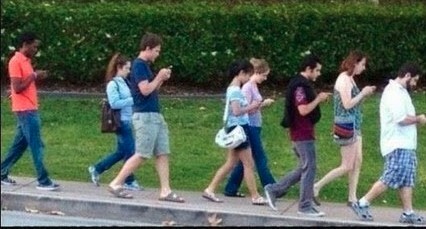 You might be shocked to find how much you see of your environment when you’re not staring at your phone all the time. You might even meet people. 😉 And if you’re lucky they’re inclined to be naked, like you. Those tweets will wait for you to come back, trust me. Author PaulPosted on January 3, 2018 December 29, 2017 Categories Miscellaneous, NudismTags clothes, phone, pockets, stuff2 Comments on A naturist’s view on pockets.